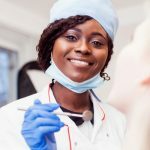 What is oral medicine and why do people typically need it? Oral yeast infections, also known as thrush, look a bit like white cottage cheese in the mouth. Sometimes they can also show up as red irritation, usually in the parts of your mouth covered by a denture. 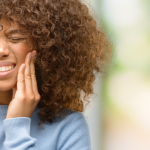 Some patients experience pain or a burning in the mouth, but other patients don’t suffer symptoms at all. Your dentist will evaluate you to treat the underlying cause of the infection. In some cases, antifungal medications (ranging from topical rinses and lozenges to pills) will be prescribed to stop the yeast from growing. Cold sores, or ulcers, are painful and can form in your mouth on a recurring basis. You might be surprised to learn that there are many types of cold sores: mouth lesions, tongue inflammation, canker sores, oral thrush, Herpes complex, etc. Though they are generally harmless, you should see your dentist if the ulcer lasts beyond three weeks or has become very painful and inflamed. While most people get better without any specific treatment, antiviral medication is used to speed healing. Salivary gland disorders range from dry mouth to salivary gland stones. Oral medicine focuses on treating the cause of such conditions while relieving symptoms. For example, a gland stone is a calcified structure that grows in a salivary gland, blocking the flow of saliva into the mouth. Oftentimes, the stones can be treated manually with methods that trigger saliva production so that they pass without medical intervention. They are removed only in certain cases. 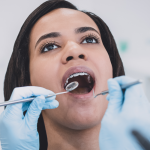 Oral medicine covers a much broader range of conditions than those covered here, including specialized injections for pain, taste and smell disorders, tumors, lichen planus, Behcet’s disease, pemphigus vulgaris, migraines, and other oral problems. The important thing to keep in mind is that conditions are primarily treated through medicine, not surgical means. 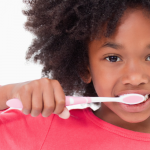 Experts at Penn Dental Medicine treat a wide range of problems in our Philadelphia clinic. 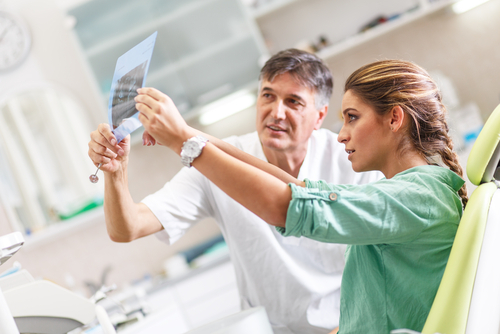 Our state-of-the-art technology and cutting-edge research keep us at the forefront of the oral medicine field. We take pride in our patients’ successful outcomes, and offer low-cost treatment allowing many more families and individuals to take advantage of our program. To schedule an appointment with one of our oral medicine specialists today, please call PDM at 215-898-8965.